These days with various devices and gadgets around us, sometimes it is difficult to decide what the best way is to play our favorite DVD movies on them. Using powerful DVD ripping software like WinX users could easily convert their DVDs to video or audio formats which could be played on whatever device they have. 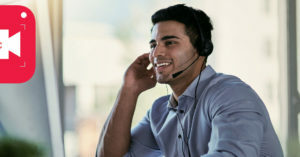 All they should do in order to make sure the process is done right is to specify their certain device in the program so that the conversion is done using the specific settings suitable for the target system. WinX DVD software is developed by Digiarty Software Inc. which is an active company in providing video/DVD backup and converting solutions. Other than a user-friendly interface and high speed conversions, WinX ripping software provides other features which some of them could be reviewed below. Popular file types compatibility – WinX software could convert different DVDs to main video/audio file formats such as AVI, FLV, iTunes, MP3, MOV, MKV, MP4, etc. That’s especially helpful for those wanting to upload the video clip on video sharing websites like YouTube, Vimeo, and so on. Different devices support – coming with more than 350 default settings, the software could produce output files suitable for devices such as Apple TV, iPod, iPhone, iPad, PS4, PSP, Android devices, etc. This is important to note that the ripping is done without any negative effect on the quality of the video. For more advanced users, there are also more options for video and audio parameters like resolution, volume, bitrates, frame rate, and so on. Using those, they could customize their ripping result as they want it to be. Image/audio extraction – users are able to save audio in MP3 format, take picture snapshot of the movie, or save any part of the video they want. Editing tools – some basic but useful features for DVD editing are provided as well. These include crop, trim, merge, and adding subtitles (regardless of the subtitle’s language). Region & copy locks removal – it could remove Sony ARccOS, CSS, UOPs, and RCE restrictions. Scratched DVDs or Disney DVDs are also supported by the program. DVD to ISO conversion – in case a user wants to have an ISO image of their DVD, the program makes it possible to do the task in only several minutes. This makes it possible for future disc burning if needed, so that a copy of the DVD could be made as a backup or new copy. Fast speed – the WinX application supports hyper-threading and multi-core CPU (up to 8 cores). So the conversions are done in about half the time it takes other products to do. When buying the software, users are able to choose the operating system they want to run the program on. 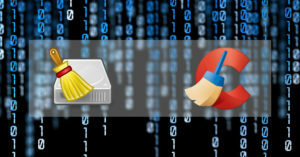 Currently the program could be installed and run on Mac and Windows. 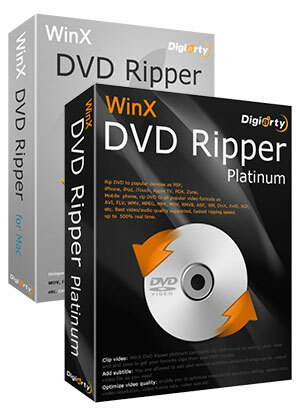 The Windows version which is called DVD Ripper Platinum costs $39.95. On the other hand, the Mac edition is priced at $35.95. As usual, software trials could also be downloaded to test this DVD ripper.